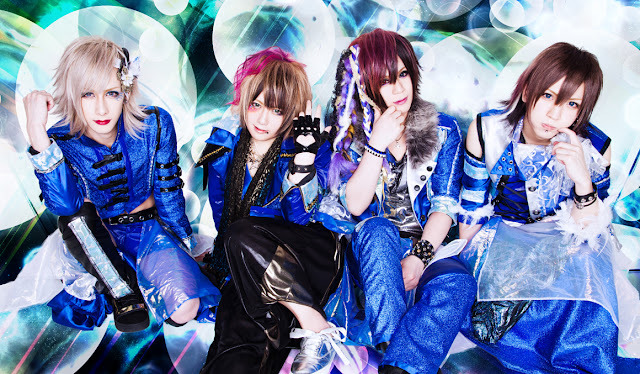 RoNo☆Cro - New Single "Zettai Chouzetsu Only One" | VKH Press – J-Rock & Visual Kei Coverage Worldwide! Home / News / RoNo☆Cro / RoNo☆Cro - New Single "Zettai Chouzetsu Only One"
RoNo☆Cro - New Single "Zettai Chouzetsu Only One"
Recently announced at their latest live, RoNo☆Cro will be releasing a new single this fall! It is called Zettai Chouzetsu Only One (絶対超絶オンリーワン) and it will be in stores September 16 in 3 types. Type A will come with a CD with 2 songs and a DVD with the single's music video. It will cost 2000 yen. Type B and Type C will come with 1 CD with 3 songs. Both will cost 1500 yen. The coupling songs for the single will be announced at a later date. These are all the details that have been revealed about the single but we will keep you updated once we hear more.